We are a custom woodwork shop in Nashville, TN. We have been in the same location for 17 years. 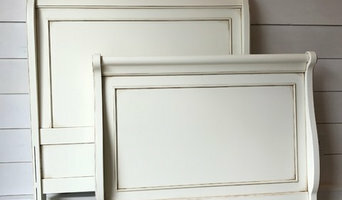 We design and make furniture, cabinetry, and millwork. We are comfortable working with solid woods as well as veneers. We also do exterior work like arbors, pergolas, fancy fences and garden doors and gates. We are happy to work directly with clients or through design professionals and contractors. Design/build furniture from traditional to contemporary. We use solid wood, veneer, and some metal. Cabinetry including full kitchens, media cabinetry, libraries, wine cellars, etc. . Millwork. We make custom designed doors and windows and reproduce old pieces for historic work. We do limited molding profile runs of a couple of feet to a few hundred and can match most any existing profile. 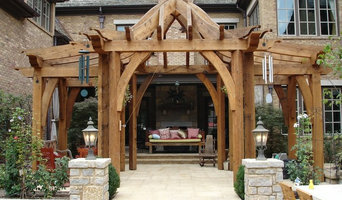 Porch swings, garden gates, pergolas, arbors. Custom luxury furniture crafted from reclaimed steel and hardwoods. 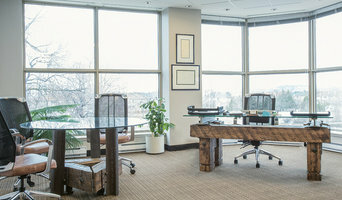 Committed to sustainability and historic preservation, we specialize in designing and building tables, desks, seating, and fine art utilizing eco-friendly railroad materials recovered from our railroad contracting business. We specialize in refurbished wood projects and furniture, interior design, and refining antiques. Our two sons, Austin and Camden, are our inspiration behind Ausden Inc. We believe everyone deserves a distinguished look even in the most sensible of times. I began to develop my aesthetic for unique and quality home furnishings during my childhood alongside my designer/artist mother. 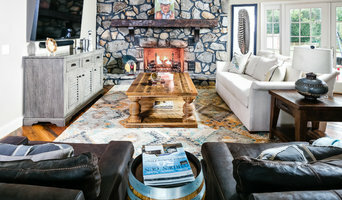 Over the past two years, I have been successfully managing estate sales out of my garage, selling antiques, rugs, fine-art, and gently-used vintage home decor, and as a Nashville native, I was able to reach many prospective buyers and sellers. However, it soon became apparent that while many people have home furnishings and art that they would like to put up for adoption, most dislike the hassle of estate sales and consignment stores. I decided that Nashville needed an online marketplace for design-loving locals who want to sell old valuables or buy new ones with confidence in both the quality of the products and the transaction. Thus, Area 2 Trading Company was born. I carefully review each submission so that you see only the finest of finds at fair prices that are carefully researched. Our furniture changes lives. We build trade schools around the world and provide jobs for the underprivileged. Team Legacy would love to partner with your imagination to build a beautiful creation. We reclaim and repurpose old wood into handcrafted, heirloom-quality furniture. Built with matchless beauty, every LEGACY piece of furniture showcases exceptional craftsmanship, attention to detail and fresh, unique designs. 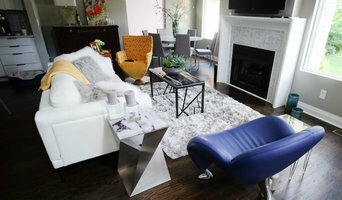 Remix Furniture Store is a new Nashville consignment furniture business. Working with local consignors, we sell used, quality furniture, art, mirrors, table/floor lamps, and other items of home décor. Located on 8th Avenue South in Nashville, TN, we have joined an up and coming corridor full of interesting and unique stores. Where else in Nashville can you find such a concentration of consignment stores, antiques, new/used furniture, art, fabric, and more? Come see for yourself! Also Visit Our new Location:211 Robert Rose Drive, Murfreesboro, TN 37129! I make all types of decorations for the home. Specalizing in slip covers and pillows. UPDESK is a leading brand supplying top performers with the highest quality standing desks available. Period. We were actually born out of a 45-year old healthcare-related company that has been designing and building sit/stand solutions for over a decade. In other words, we're not going anywhere and have the experience needed to develop long-lasting products and relationships. Whether you’re looking for 1 or 100 standing desks, UPDESK is your solution. With over 20 years of experience, Brad Hannewald, of Furniture by Brad, accentuates every detail in his craft through precision cut, hand sanded and hand finished custom wood furniture. From Rustic, Modern, Shabby Chic to Industrial inspired furniture, Furniture by Brad can make your next furniture addition exactly how you want it. Hopemaru Enterprises is a home decor products company dedicated to bringing our customers a high end home decor shopping experience. Planning on buying new furniture and accessories for your Nashville, TN home? A wide range of home furnishings and home decor accessories are available in the marketplace. If this is your first home, check out our directory of furniture retailers in your area for ideas and cost comparisons. Or you may already have a favorite style and a furniture retailer that you’ve worked with in the past. Whatever your situation, it’s always a good idea to do some research before visiting a Nashville, TN retailer or finding a custom furnishings manufacturer. Start your research right here on Houzz. Read through professionals’ profile pages to find out important details, like how long a manufacturer has been in business. Look at reviews by design professionals and find out which furniture makers offer the best customer service. Are you looking for condo-size furnishings or working with an oddly shaped room? Necessity is the mother of invention, so opt for a custom piece made by an experienced Tennessee furniture maker. Here are some related professionals and vendors to complement the work of furniture & accessories: Interior Designers & Decorators, Artists & Artisans, Kids & Nursery, Closet Designers and Professional Organizers, Bedding & Bath. Take your time on any buying decisions. If contemporary is your style, don’t buy something traditional because it’s on sale. Many Tennessee home furnishers offer interior design consultations or room planning guides to get you started. Whether you decide to work with a home decor specialist or to become your own expert, it’s important not to rush the furniture-buying process. Visit plenty of Nashville, TN showrooms and stores so you can feel comfortable with your purchase. Find furniture and accessories manufacturers, showrooms and retailers on Houzz. Narrow your search in the Professionals section of the website to Nashville, TN furniture and accessories, then choose the nearest metro area for showrooms and retailers. Or you may want to look through Tennessee photos to find designs you like and contact the furniture manufacturers and showroom galleries directly.